This week I'm excited to offer you a Loop Theory blouse & collar giveaway! Loop Theory is a conceptual independent clothing line providing designs that encourage the wearers to think. 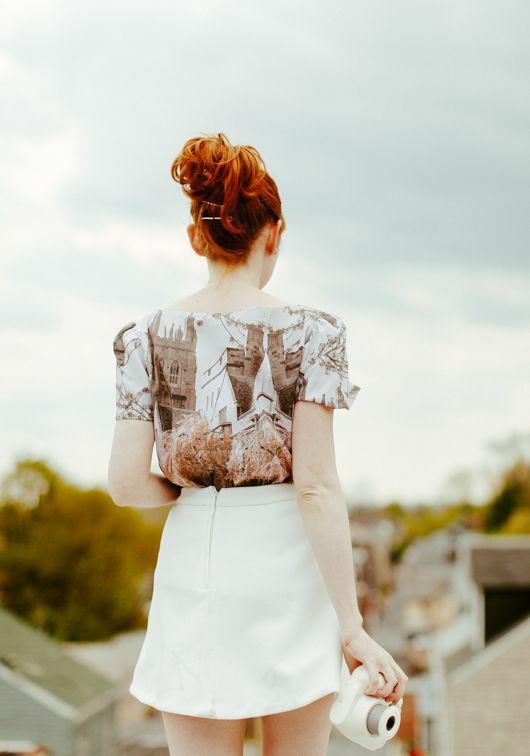 Everything is handmade and I'm a big fan of their cityscape prints delicately embracing autumn--the designs are thoughtful as well as beautiful. Many of the photo prints are derived from photos the designer took around Yale and her collars represent, "both metaphysical and metaphorical reflections of an illusive Yale based in reality but perceived only through memory in the realm of mind. 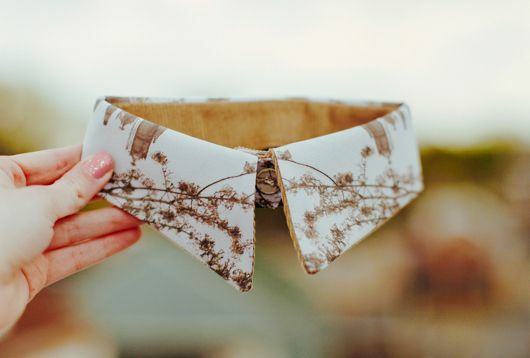 "Around a year after her collection first debuted, designer Elliy is working on producing more collars and has started an Indiegogo campaign to make the dream a reality. Prize: I'm giving away the blouse (one size fits most) and collar pictured above. -That's it, the winner will be drawn in one week and notified by e-mail. Open to International readers. //EDIT:// This giveaway is closed. The winner is Sammy. Thank you to everyone who entered.